PDI is the premier training event for resource/financial managers in the Department of Defense, US Coast Guard, and public and private sectors. This three-day training event features a full day of Service and Defense Agencies workshops; six general sessions with keynote speakers; 17 mini-courses aligned to the DoD Financial Management Certification Program competencies and associated proficiency levels; more than fifty financial management, audit, acquisition, and workforce management workshops; and other special activities. The PDI program objective is to enhance resource/financial management knowledge and skills, as well as share best practices toward meeting the complex challenges of today’s fiscal environment. The PDI focus is on education and training, with more than 20 hours of educational sessions and speakers, and the ability to earn up to 21 Continuing Professional Education (CPE) units. These sessions meet the National Association of State Boards of Accounting standards. The Department does not provide blanket approval or endorsement for attendance by DoD employees at training events. Individual DoD component commands or organizations are responsible for approving attendance of its DoD employees based on mission requirements and consistency with law, regulation and policy. Active duty or civilian personnel have two complimentary but distinct roles: (1) as an official role as a DoD financial manager, auditor, logistician, or otherwise; and (2) in private capacities, as active participants and/or leadership positions in ASMC. Keeping these roles straight will help you from inadvertently making mistakes in using either appropriated or chapter funds to attend the PDI. Joint Ethics Regulation (DoD 5500.7-R, sections 2-100 and 3-300) requires persons who are active members in a private organization not act on requests for training or official travel for themselves or subordinates to participate in that private organization’s events. In other words, approval to attend PDI using appropriated funds must come from someone who is not an active participant in ASMC. The purpose of this restriction is to ensure complete impartiality and public confidence in the allocation of travel and training resources. 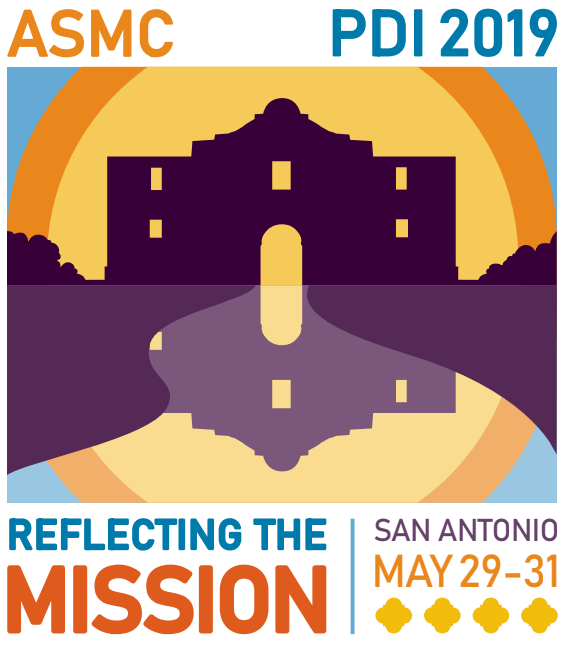 Many ASMC chapters also provide full or partial “scholarships” to help their members attend the PDI. Law and regulation permit this practice, but it is important to follow established regulations and procedures. Under 41 CFR Part 300-2, a non-federal organization, such as an ASMC chapter, may pay for an active duty military member or civil servant to attend a training event, like the PDI, and the DoD Standards of Conduct Office has concluded that this authority may be used for the PDI.First, the chapter should offer in writing what it is willing to fund with regard to the PDI. This could be registration, transportation, per diem, or some combination thereof. The traveler’s DoD organization must approve the offer, with the concurrence of a local ethics official, and the traveler must be in a TDY status when he or she goes to the PDI. Finally, individual travelers may not accept any cash reimbursement under this authority. Chapters should either pay for registration, travel, or lodging directly or issue a check to the traveler’s DoD organization to reimburse it for it TDY expenses. You may also pay your own way to PDI in either a leave or no-cost TDY status. Remember, however, even if your TDY is unfunded, you are expected to attend the full schedule of sessions for each day of the PDI. Our individual reputations and the credibility of ASMC depend upon our honoring these standards and procedures. If you have any questions, please direct them to the National Headquarters.